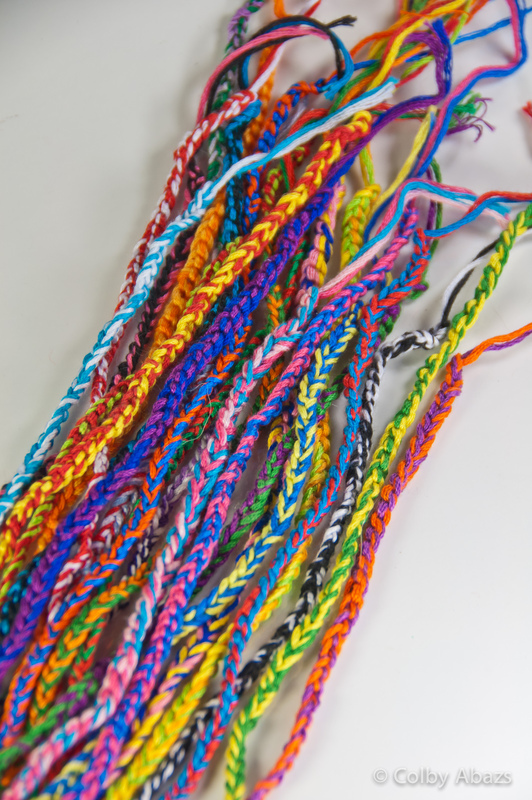 Laura has been making and selling hundreds of these friendship bracelets. She is marketing to a new store and needed some photographs so I decided that I would set up my studio and have that be my photo of the day. This is the one I picked because I think it is the most colorful one that still shows the details.